It’s no secret that volcanic eruptions can cool the planet by spewing ash and droplets of sulfuric acid into the atmosphere that obscure the sun. Now researchers at Germany’s GEOMAR Helmholtz Centre for Ocean Research Kiel and Harvard University have found evidence that suggest the reverse could also be true. 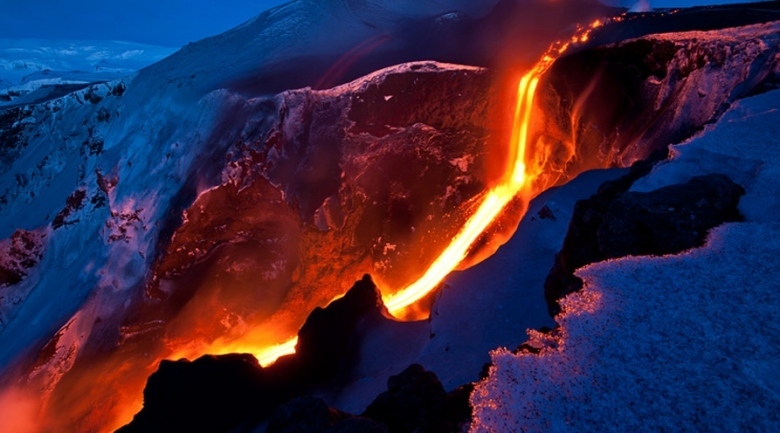 The researchers have discovered a strong historical link between global temperature increases and increases in volcanic activity. Using observations of ash layers in cores taken from the seafloor around the Pacific region, the researchers reconstructed the history of volcanic eruptions for the past one million years. When they compared this data with the climate history, they found that periods of fast, global temperature increases and associated ice melting were followed with periods of high volcanic activity.